Raise funds to support the family of fallen Weymouth Police Sergeant Michael Chesna. They pay off the mortgages for the widows & children of Fallen First Responders. Raising funds to keep Lizbeth, suffering from Huntington's disease, at home with her husband Alan & dog Dexter. 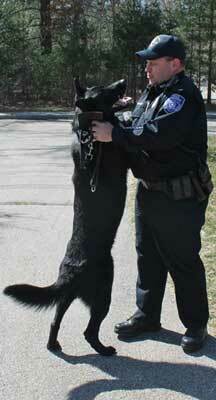 Provides bullet and stab protective vests to dogs of Law Enforcement. Please consider bringing an item for one of the HeatherFest “drives”. Support Norton’s food pantry- Click for items needed. Provides cleansing, sanitation & beauty products to homeless & newly housed women of New England. Bring Gently Used Cell Phones to donate. "Our daughter, Gracie, was honored with an invitation to sing at HeatherFest due to our friendship with Heather and we thought, oh how nice to go sing at a little back yard gig. Well, let me tell you, we were all blown away by the talent we witnessed and the supportive and loving energy that was abundant in that back yard! Of course we knew that Heather is loving and supportive because she asked our Gracie to sing and she was only 13. But the 500(?) other people were also wonderful! The depth of talent that Heather has attracted to her house in Norton is impressive!"